Calling all golfers. 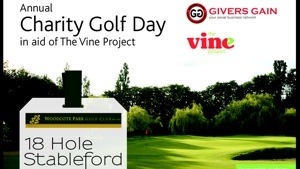 The Vine Project have announced their first Charity Golf Day at the Woodcote Park Golf Club on Friday 30th May 2014 at Meadow Hill, Bridle Way, Coulsdon, Surrey CR5 2QQ. Book your team in now. All proceeds will go to giving back dignity to families most at need across South London and Surrey. The Vine Project provides furniture to those who have nothing. We support those who don’t work through structured volunteering opportunities. We prevent hundreds of tonnes of unwanted furniture ending up in landfill. The Vine Project is a registered charity.